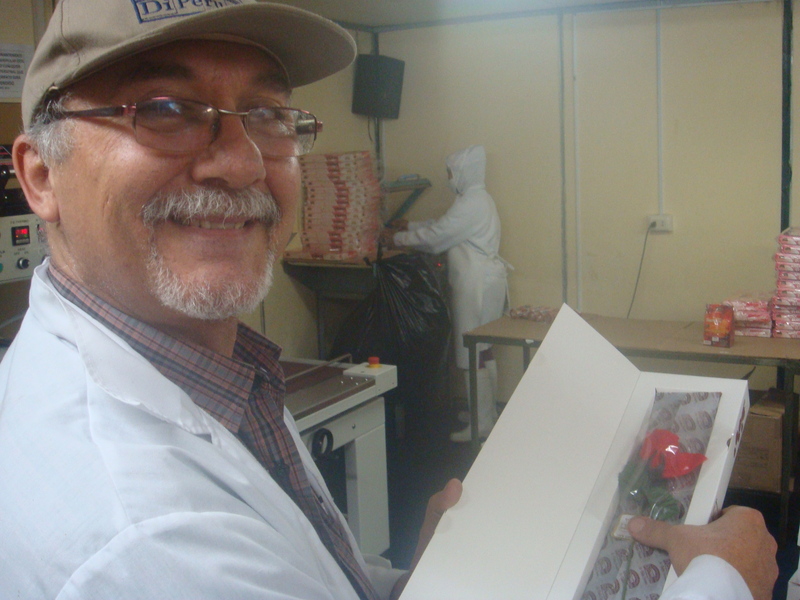 Di Perugia is the maker of Peru’s delicious chocolate bonbons. We are warmly welcomed by Signor Stefano, born in Lima but of Italian parents. 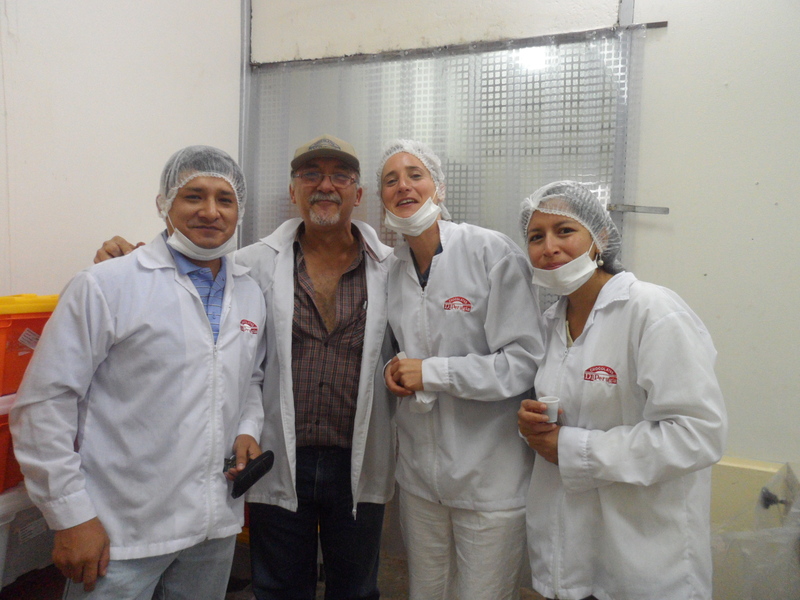 He is the charming and charismatic owner of the Peruvian chocolate company, Di Perugia. As he takes us round his chocolate factory, he tells us the story of Di Perugia. And what a beautiful story it is! 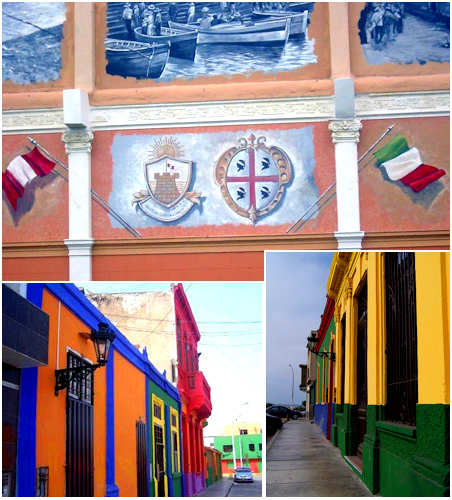 Stefano’s family is part of the Italian generation that emigrated to Peru in the 1950s after the Second World War. Stefano’s father came from Perugia, the centre of Italy’s chocolate region, today famous for Perugina Baci chocolates as well as the chocolate festival which they hold every year. 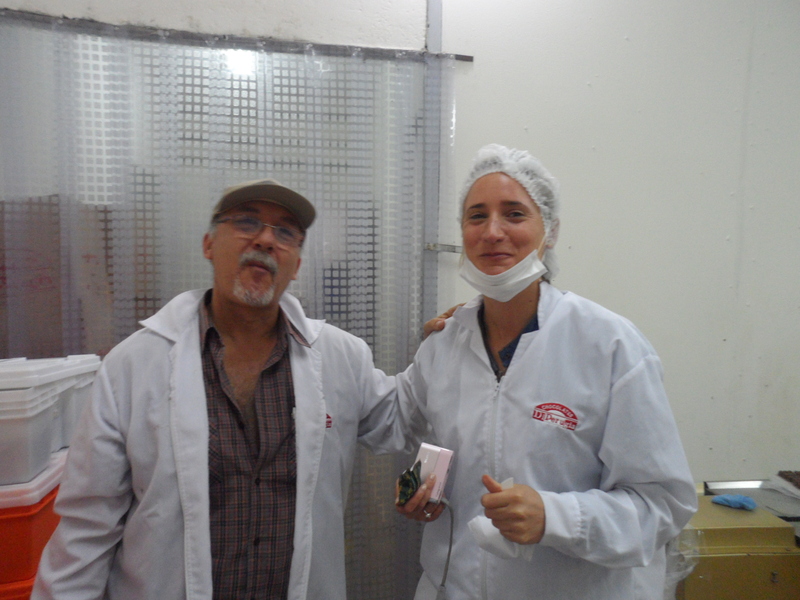 As a factory worker at Perugina (now owned by Nestlé), Stefano’s father was approached by the Sicilian ice-cream maker, Signor D’Onofrio, to work in the chocolate division of an ice-cream and pannetone factory which he had set up in Peru. Today, D’Onofrio now a leading food enterprise (also bought by Nestlé), where the traces of the D’Onofrio name remain in Peru’s best-loved ice-cream brand. Stefano’s father came to work for D’Onofrio in 1953 when he was 34 years old. On arriving in Lima, and seeing the opportunities that the country had to offer, he called for his future wife to join him, and from then on, all the rest is history! 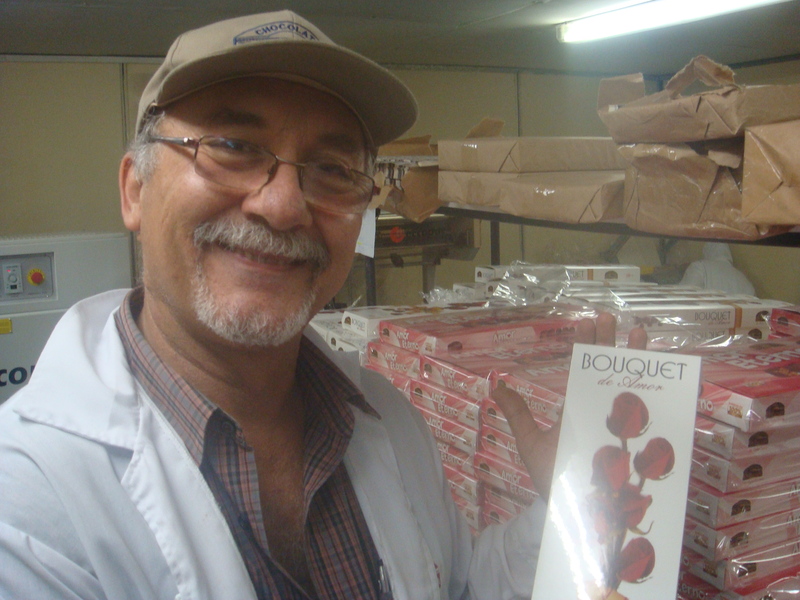 Stefano’s father worked for many years for D’Onofrio and later for the Peruvian chocolate company Winters. It wasn’t until 1992 that Stefano, along with his father, set up his own family chocolate brand, “Di Perugia”. As we are shown round Di Perugia, I admire all the beautiful machines that Stefano has collected in to create this fabulous chocolate enterprise. I can’t help feeling the pride that Stefano must feel as he shows us round and explains the different processes. 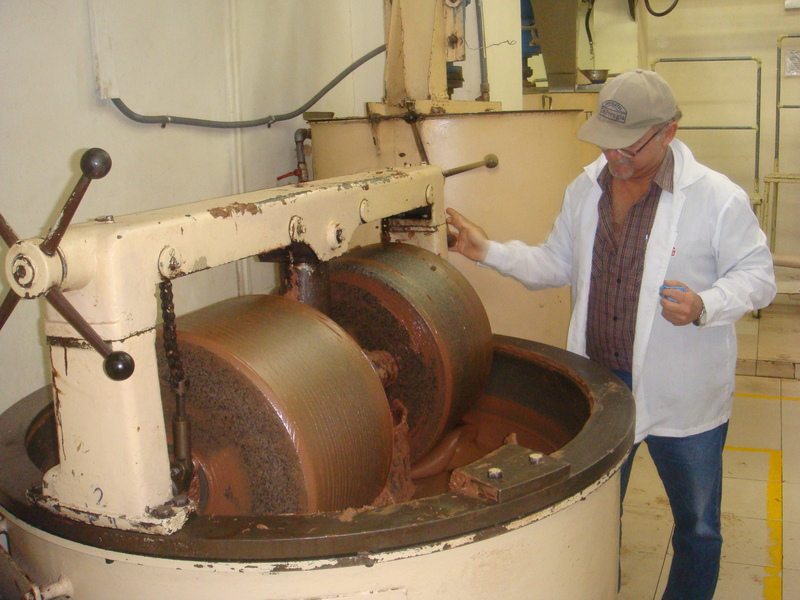 Di Perugia manage all the different stages of the chocolate manufacturing process. 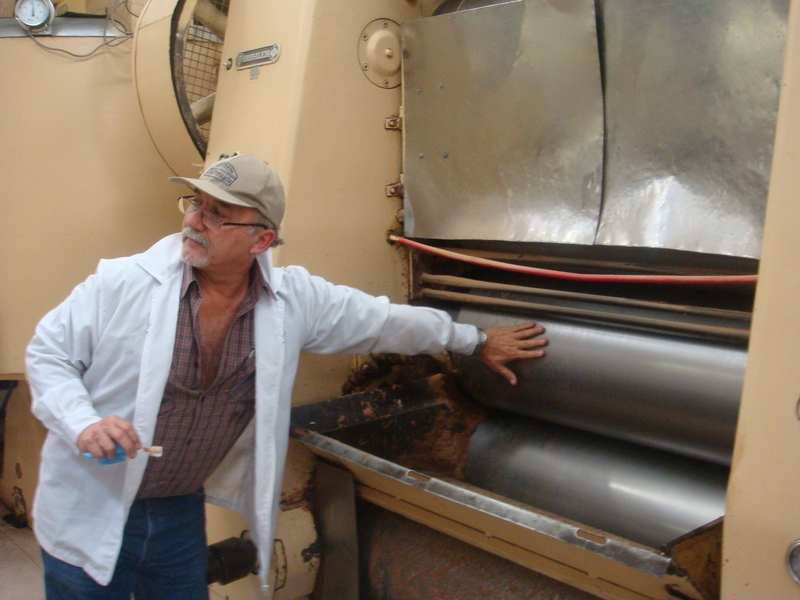 We are taken to a separate building where the cacao beans are toasted. The machine is beautiful and dates from the 1970s. 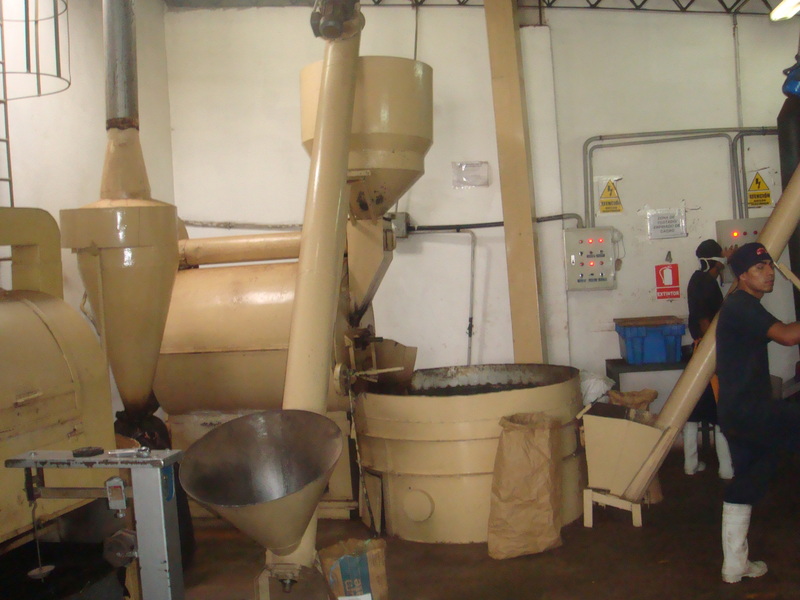 I am told that the beans are roasted for an hour, a critical part of the process that will ensure that the best flavours of the cacao beans are brought out. 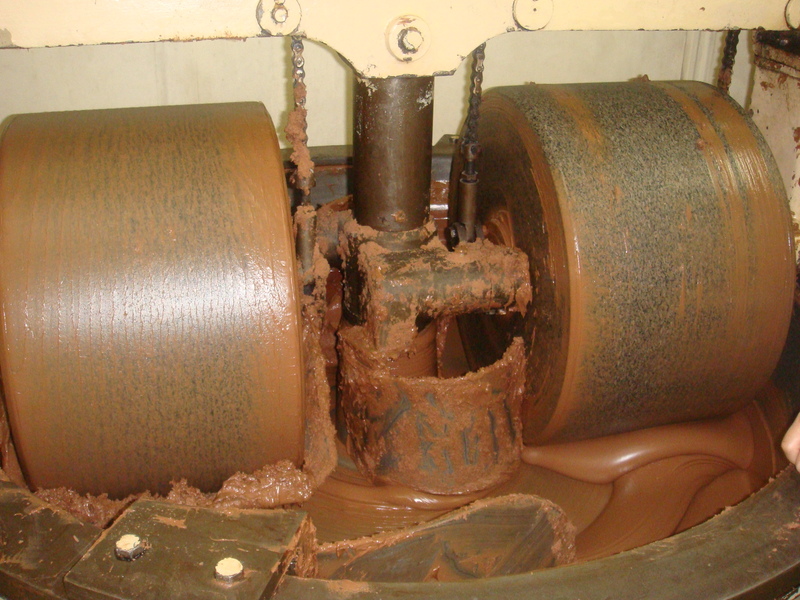 I am told that the other machine, used to press the liquor to extract the cocoa butter, was bought from a man who had received it as part of his compensation when the Peruvian company Chocolates El Tigre (also of Italian foundation) went bankrupt in the 1990s. As the liquor is pressed to remove the cocoa butter, I am shown the powdery disc known as the “cocoa presscake.” This presscake, when pulverized, becomes cocoa powder. 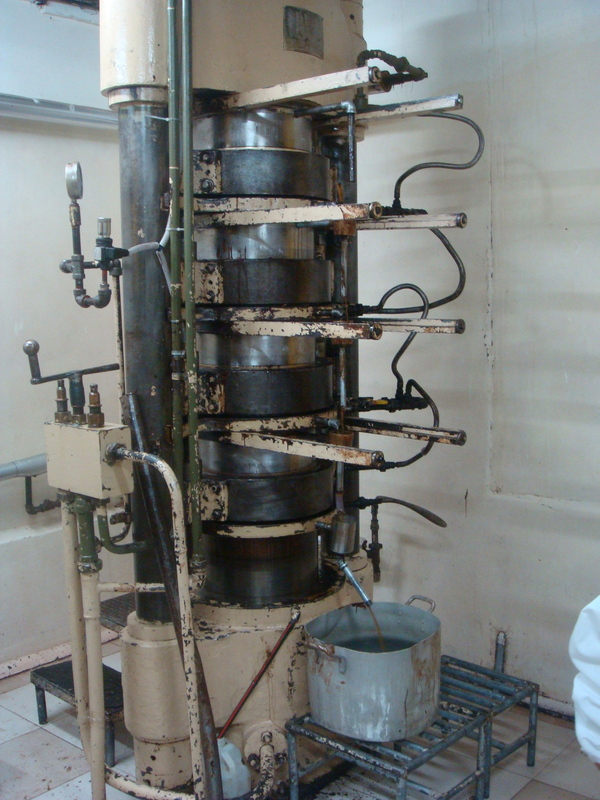 The conching machine is the oldest chocolate machine I have ever seen. I am told that it dates back to the 1950s and was produced by one of Italy’s oldest and finest chocolate machine manufacturers, Carle & Montanari. The wheels of the conching machine are made of granite. This helps to make the chocolate even finer. Below are the chocolates that Di Perugia are famous for! 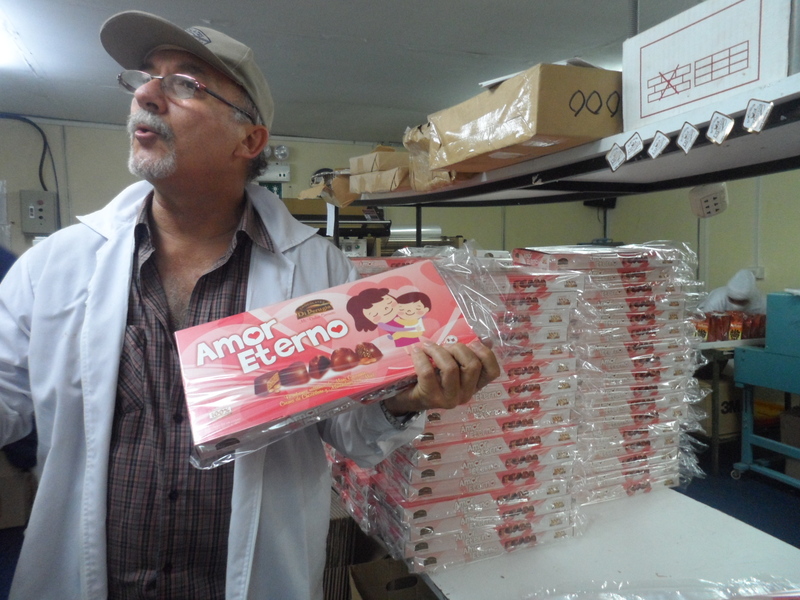 Stefano brings love of chocolate within the reach of every Peruvian couple! The most romantic gift is the one containing a rose and some delicious chocolates. 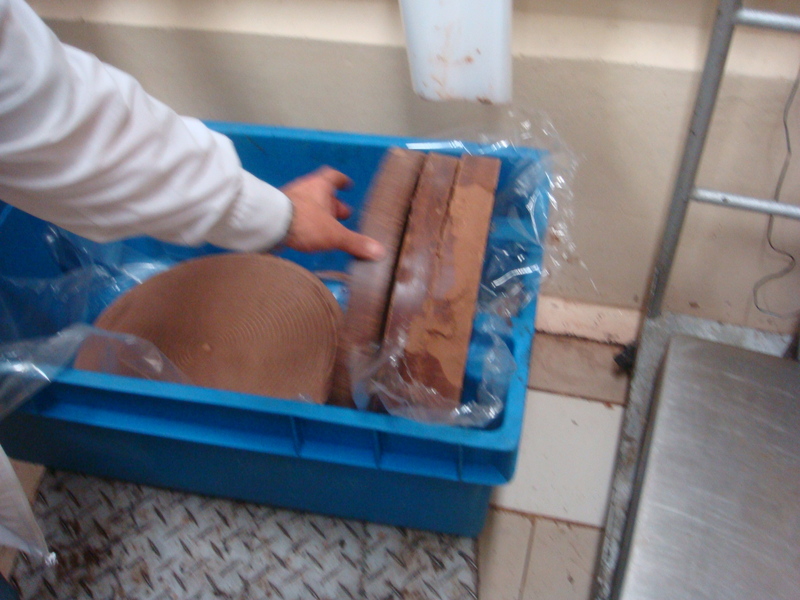 As I taste the chocolate filled with pure pisco, I am told that there is more pisco than chocolate in it! Bienvenido a Peru!